It's the white rabbit! 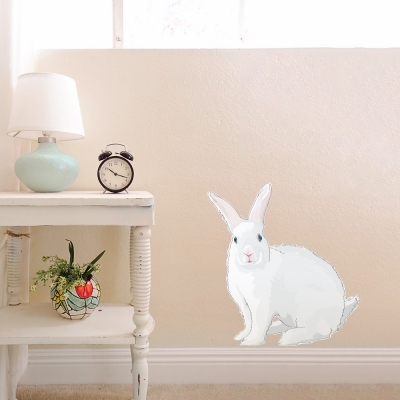 Whether you're a fan of Alice In Wonderland or adorable white bunnies, this decal will go perfectly in your space. Or make decorating for Easter and Spring easy with this removable Cadbury Bunny Printed Wall Decal by Diesel and Juice Illustrations.